Taipei, November 13, 2008 – TYAN, an industry-leading server platform provider, today announced at SC’08 that its current line of 23 AMD Opteron™ processor-based platforms and 1 new AMD Opteron™- processor based product will support the new Quad-Core AMD Opteron™ processor (codenamed “Shanghai”). Customers can achieve superior performance, low power consumption and low total cost of ownership by upgrading to the new TYAN platforms powered by the enhanced Quad-Core AMD Opteron processor built on 45nm process technology. TYAN platforms that support the previous Quad-Core AMD Opteron™ processors are socket compatible and will only require a BIOS update to support this next-generation processor. AMD Opteron™ processor. Customers can upgrade to the new Quad-Core AMD Opteron™ processor in TYAN’s current platforms without extra validation costs or additional hardware changes. 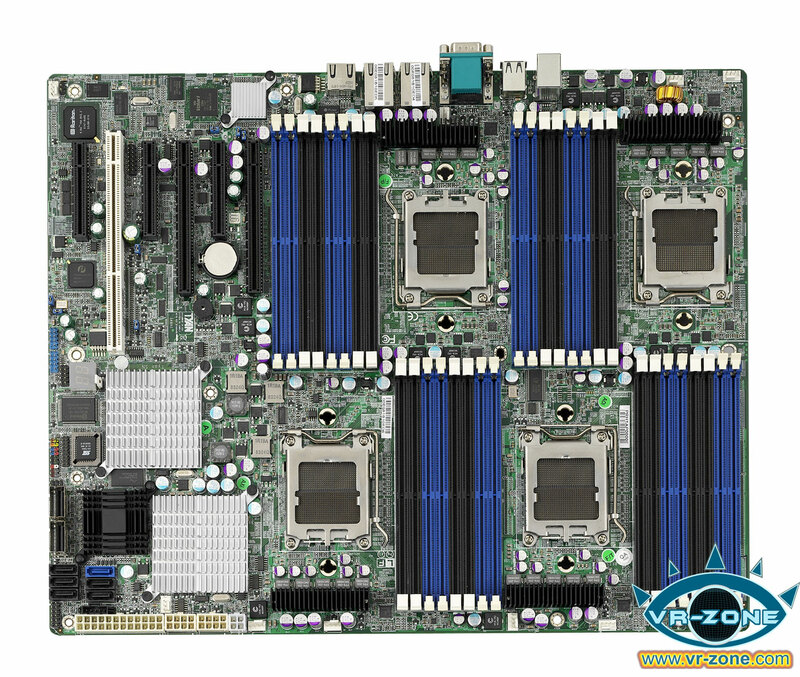 For new platforms, TYAN launched the TYAN S4992 motherboard that will target high-end HPC and workstation users. For scalable and flexible 2-way solutions, TYAN’s S3992-E, S3970-E, S2927-E, S2915-E, S2912-E, S2932-E, S2937 and S2935 are perfect platforms that meet current and future IT server and workstation requirements. TYAN’s S4989, S4987-E S4985-E, and M4985-E motherboards are 4-way/8-way solutions that are exceptionally proficient in memory intensive and high-cluster IT infrastructures. For barebones systems, the TYAN VX50-B4985-E-8P, VX50-B4985-E, FT48-B4985-E, TN68-B4989, GT26-B4987-E, TA26-B3992-E, TA26-B2932-E, GT24-B3992-E, GT24-B2932-E, GT24-B2912-E and GT28-B2935will also support next generation Quad-Core AMD Opteron™ processors. The TYAN S4992 is a 4-way high-end workstation server platform that will support HyperTransport™ 3.0 technology or 5.2 GT/s HyperTransport™ technology links between the four CPUs. The S4992 will have a total memory capacity of 256GB DDR2 800/667/533/400 ECC memory, (5) PCI Express Gen. 2 slots, (1) PCI-X 64-bit 133MHz slot, (2) GbE ports, and onboard iKVM features, providing extraordinary computing and networking performance. TYAN’s current Quad-Core AMD Opteron™ processor-ready platforms are widely available in the market. The TYAN S4992 motherboard is currently in customer sampling stage and is expected to be in mass production in Q1 of 2009. Please visit http://www.tyan.com/ for more details and information.